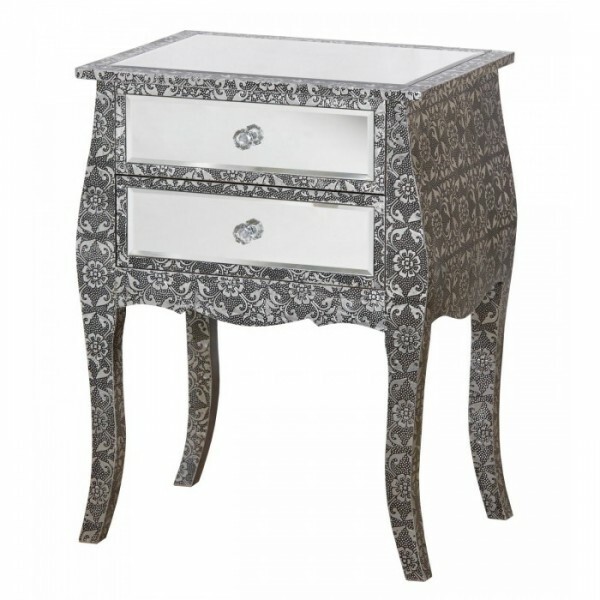 Chaandhi Kar Black Silver Embossed Mirrored Bedside Table. 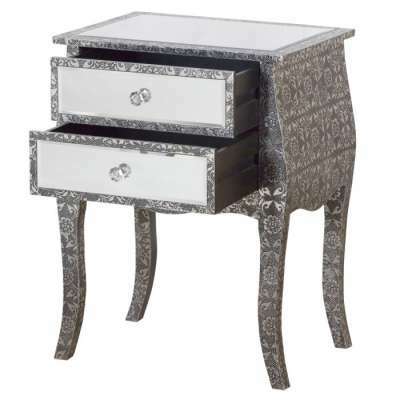 Extremely chic and elegant, in blackened silver metal over wood, with mirrored panels, delivered fully assembled. 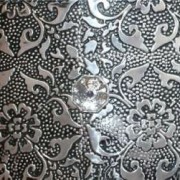 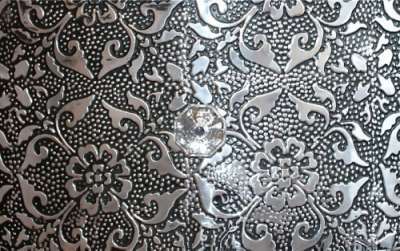 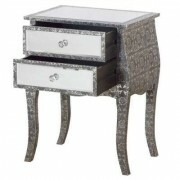 Due to the nature of hand finished reproduction furniture small flaws and distress are intentional, and add to the charm.